The IWC welcomes enquiries from the media. As the international, inter-governmental organisation with responsibility for conservation of whales and management of whaling since 1946, we hold a significant amount of information which we are happy to share. The Scientific Committee today begins a review of minke whales in the western North Pacific this month. The process, known as an ‘Implementation Review’ is expected to take at least two years to complete and aims to assess the numbers and structure of this population. Multi-faceted approach to protecting endangered southern right whales in the eastern South Pacific. The IWC has made important progress in efforts to protect an endangered population of southern right whales in the eastern South Pacific. The work falls under a Conservation Management Plan (CMP) and includes a new acoustic monitoring programme, the signing of a Memorandum of Understanding, and training in entanglement and strandings response. From today, an online handbook will equip anyone who wants to go whale watching with places to go and questions to ask. A collaboration between the International Whaling Commission and the Convention on Migratory Species, the Whale Watching Handbook offers comprehensive and impartial advice to regulators and policy makers, the whale watching industry and members of the public. Day Five of the IWC Plenary included a vote on the Government of Japan's Way Forward proposal and acknowledgement of the difficult differences and importance of dialogue and mutual respect. A busy and varied agenda on Day Four of the IWC meeting included discussion two different proposals on the future of the Commission, special permit whaling and whale watching. The meeting concludes tomorrow. Day Three of the IWC Plenary saw catch limits set for indigenous whaling, a Resolution on ecosystem functioning adopted by vote, consensus Resolutions on ocean noise and ghost gear and £50,000 for the Bycatch Mitigation Initiative. Day Two of the IWC biennial plenary meeting began with the presentation of a proposal to create a whale sanctuary in the South Atlantic. The proposal, which has been discussed at previous IWC meetings, was introduced by the Government of Brazil and co-sponsored by the Governments of Argentina, Gabon and South Africa, all range states for the proposed sanctuary. The Plenary session of the IWC biennial meeting opened today in Florianopolis, Brazil. Over 400 delegates from member governments, other inter-governmental organisations, and non-governmental organisations will spend the next five days discussing a wide range of issues related to regulation of whaling and conservation of whales. The 2018 IWC plenary meeting is beginning in the Brazilian coastal city of Florianopolis. Over five days, the Commission will consider three proposed Schedule Amendment and eight Resolutions, as well as reports on the intersessional work of its six committees and working groups. The meeting runs from Monday 10 to Friday 14 September. Click here to watch a live stream of the meeting. The IWC welcomed the opportunity to attend the FAO's Committee on Fisheries (COFI) meeting, held in Rome this week. Discussions included marine mammal bycatch and the need for best practice for prevention and management. It was agreed by the Committee that the FAO should proceed with developing best practice technical guidelines on how to mitigate marine mammal bycatch. The IWC is holding its fourth workshop on large whale entanglement in June. Experts from around the world will gather at the Center for Coastal Studies, Provincetown, to tackle a full agenda which includes a review of entanglement response capacity building, long-term entanglement mitigation, and safety of response teams. The annual report of the IWC Scientific Committee is published today. It contains a comprehensive account of the discussions, conclusions and recommendations of the meeting of the Scientific Committee, which took place over a two week period in April/May in Bled, Slovenia. To read this year's Scientific Committee report please click here. Click here to read the report. Approximately 200 of the world’s leading cetacean scientists are gathering to review the latest research on a wide range of topics related to cetacean conservation and management information. Good progress has been reported from a workshop to improve the process and handling of Aboriginal Subsistence Whaling (ASW) quota renewals. ASW is conducted in some of the world’s most remote regions. It is community-based and does not seek to maximise either catches or profits. Regulation of aboriginal whaling is an important responsibility of the Commission, whose role is to ensure that the whale populations remain healthy, and the nutritional and cultural requirements of indigenous people are met. An independent report on IWC governance is published today. At its last biennial meeting in 2016, the Commission adopted a Resolution which instigated a comprehensive and independent review of institutional and governance arrangements at the IWC. A programme aiming to build a clearer picture of southern right whale migration and feeding grounds has revealed a substantial variety of animal behaviours. IWC entanglement response training has concluded successfully in Sortland, Norway. The 8th annual IWC-POWER research cruise has concluded successfully after 12 weeks at sea. The International Whaling Commission - Pacific Ocean Whale and Ecosystem Research (IWC-POWER) programme is a long-term, international collaboration studying cetacean populations in the North Pacific, including some areas which have not been surveyed for 40 years. Telemetry studies have become increasingly important in scientific studies of many animals including cetaceans. This Expert Workshop is co-sponsored by the IWC, the US Office of Naval Research and the US National Marine Fisheries Service, and will review and evaluate progress in tag design and attachment. The workshop will emphasise recent tag attachment improvements and follow-up studies examining the effects of tagging. The other major aim of the workshop is to develop Best Practice Guidelines for Cetacean Tagging. The 8th international research cruise in the IWC-POWER series has embarked from Dutch Harbour, Alaska. This is the latest stage in a long-term programme to determine the status of populations of the large whales found in North Pacific Waters, some of which have not been surveyed for several decades. The latest IWC entanglement response training has concluded successfully in Yuzhno-Sakhalinsk, Russia. The long-term training programme is a partnership between the IWC and Center for Coastal Studies, Provincetown (CCS). This workshop was also supported by the International Fund for Animal Welfare (IFAW) who provided an additional training component on strandings response. The annual report of the IWC Scientific Committee is published today. It contains a comprehensive account of the discussions, conclusions and recommendations of the meeting of the Scientific Committee, held last month in Bled, Slovenia. Click here to read the report (revised version published at 10am 7 June 2017). Over the next two weeks, Slovenia will once again play host to the Scientific Committee of the IWC. More than 120 of the world’s leading cetacean scientists are gathering in Bled to discuss the latest research on a wide range of subjects related to cetacean conservation and management. Applications are today invited for IWC member governments of limited means to obtain financial support for attendance at IWC events. A Voluntary Assistance Fund was created at the 2016 Commission Meeting, where a Resolution was adopted which aimed to strengthen the capacity of governments of limited means to participate in the work of the IWC. Next week an expert panel will convene in Tokyo to review Japan's proposal for a new special permit whaling research programme in the western North Pacific. The proposal was circulated last November and, in accordance with the Scientific Committee's agreed process, will be reviewed by a small, specialist panel of invited experts. The importance of a meeting to strengthen links between national entanglement response teams was reinforced when a real entanglement was reported and the whale disappeared from local waters before it could be freed from all ropes and lines. Warm words and a lot of work to do as the 2016 IWCX Meeting ends. Five Resolutions were adopted on day four of the IWC plenary, two by consensus and three by vote. These included one urging further action to prevent the extinction of the critically endangered vaquita. Other topics discussed included scientific and commercial whaling, conservation management plans and whale watching. Discussions on day three of the IWC Plenary were wide ranging and concluded with £60,000 of voluntary contributions. A varied agenda at the second day of the IWC Plenary which began with a vote and introduced five Resolutions. Aboriginal Subsistence Whaling, a fundamental responsibility of the IWC, was also on the agenda, and a Memorandum of Cooperation on the critically endangered western gray whale gain two new signatories . The five-day Plenary session of the 2016 IWC biennial Meeting began today, on the Slovenian coast at Portorož. 66 participants attended the latest entanglement response training workshop, held in the environmental protection area of Baleia Franca, and the surrounding State of Catarina in Brazil. The latest IWC entanglement response training has concluded successfully in Los Organos, Peru. Conducted in partnership with the Center for Coastal Studies (CCS), Provincetown, the training is offered to help build safe and effective response capability around the world. Thanks to voluntary contributions from the Netherlands and Australia, the IWC-Southern Ocean Research Partnership (IWC-SORP) is making available a new fund of £155,000. Applications are welcome from projects related to the five current IWC-SORP work programmes. Previous calls have resulted in individual awards from £2500 to £23800. The latest entanglement response training has concluded in Nuuk, Greenland. Recognising the opportunity provided by the IWC, and an apparent recent upward trend in entanglements, the Government of Greenland requested, organised and sponsored a three day training, comprising one day in the classroom and two at sea. The report of the IWC Scientific Committee is published today. Its many findings and conclusions include this stark warning on the plight of the vaquita, a small porpoise found only in the Gulf of Mexico. The Scientific Committee report is published annually and provides a comprehensive account of the wide ranging discussions and conclusions of two hundred cetacean scientists who assemble each year to provide conservation and management advice to the Commission. Over the next two weeks, Slovenia will once again play host to the Scientific Committee of the IWC. Around 200 of the world’s leading cetacean scientists will gather in Bled to discuss the latest research on a wide range of subjects related to cetacean conservation and management. Scientists, policy makers, veterinarians and conservation practitioners are gathering to share expertise and information on important aspects of cetacean welfare. As part of the IWC Welfare Action Plan, two back-to-back workshops will bring together thirty five stakeholders from 14 different countries. A two year Pacific regional campaign to 'Protect Pacific Whales – Ocean Voyagers' has been launched by the Secretariat of the Pacific Environment Programme (SPREP) in Samoa. The IWC is one of a number of partner organisations supporting the campaign which aims to promote the conservation of whales through a range of initiatives and awareness raising activities. This week in Colombo, Sri Lanka, whalewatching experts will join representatives from government and industry to discuss the development of sustainable whalewatching in the Indian Ocean. In an initiative supported by the Australian Government, the IWC is working with the Indian Ocean Rim Association (IORA) to evaluate the potential benefits of a region-wide whalewatching tourism network. New funding is available for scientists with research proposals focusing on conservation of dolphins and porpoises. The IWC Small Cetaceans Voluntary Fund (SCVF) has launched its third call for tenders thanks to generous contributions from Italy, the Netherlands, Switzerland, the UK and a consortium of non-governmental organisations. The Society for Marine Mammalogy has recognised the work of the Sarawak Dolphin Project’s Cindy Peters. A short talk given by Cindy to the Society’s Convention last December has earned the J Stephen Leatherwood Award. The Sarawak Dolphin Project received funding from the IWC’s Small Cetaceans Voluntary Fund, supporting its work to assess the threats, particularly from fishing, to dolphin and porpoise species in Kuching Bay, Malaysia. An IWC workshop on cetacean stranding has concluded successfully in San Francisco, USA. Biologists, veterinarians and stranding network investigators from a range of countries gathered for two days of information sharing and discussion, focusing on unusual large scale mortality events, mass strandings and disease outbreaks. The final IWC entanglement training of 2015 has concluded successfully in Guadeloupe and Martinique, French Caribbean. The training was led by the IWC, in partnership with the Center for Coastal Studies, Provincetown. It was both requested and funded by the recently created Agoa Sanctuary, where there have been several recent reports of entangled whales. The latest entanglement response workshop has concluded successfully in Viña del Mar, Chile. The Chilean coast is an important habitat for a critically endangered population of southern right whale. They now number just 50 mature animals and entanglement response is seen as an important capacity by the Chilean government who requested the training as part of a Conservation Management Plan. The latest IWC entanglement training workshop has just finished in Oman, and has registered a number of significant ‘firsts’. This was the first entanglement workshop on the Arabian Sea coast, expanding safe and effective entanglement response into a new region. At the request of the Government of Oman, its remit was extended for the first time to cover both entanglement and stranding responses. When 36 spinner dolphins were reportedly beached nearby, it also became the first of these workshops to handle a real stranding event. A cetacean research programme in Madagascar has delivered an unexpected breakthrough in knowledge of the Omura’s whale. Habitat, feeding, social behaviours and song are all documented in the first known and confirmed study of the species. Previously mistaken for Bryde’s whales, Omura’s was identified as a new and separate species in 2003 when genetic testing was performed on an animal stranded in the Sea of Japan and eight earlier specimens. The lack of confirmed live sightings meant that virtually nothing was known about their ecology or behaviour until now. The report of the September Expert Workshop on Aboriginal Subsistence Whaling (ASW) is now available and contains a series of expert recommendations to support the work of the IWC. The Commission will discuss the recommendations its next meeting, in Slovenia in 2016. The IWC Whale Entanglement Response Network has gained two valuable new trainers who will continue work to build a professional, global response capacity, focusing on the extensive coastline of Latin America. This month, IWC Chair, Bruno Mainini of Switzerland, will host a meeting of the IWC Bureau in Bern. The Bureau was established when IWC meetings moved from an annual to biennial cycle in 2012 and its role is to oversee delivery of the Commission’s workplan during the longer intersessional period. Around forty experts and stakeholders in aboriginal subsistence whaling will gather this week at a workshop in Greenland. Regulation of subsistence whaling is an important responsibility of the IWC. It is also a complex issue, and the workshop is in support of a Commission initiative to improve its procedures for considering aboriginal whaling catch limits. This week at the Coastal Studies Center, Provincetown, the training of two apprentices from Mexico was overtaken by a real and complex whale entanglement. Karel Beets and Ricky Rebolledo of Mexico's RABEN Entanglement Response Team had joined the CCS experts to advance their knowledge and skills through an IWC global capacity-building programme. Their training was thoroughly tested on Sunday when a young humpback was spotted in very poor condition, trailing a large amount of fishing gear from its mouth. The apprentices joined the CCS team and were able to play active roles in the 11 hour operation. The sixth IWC-POWER (Pacific Ocean Whale and Ecosystem Research) cruise has now left Shiogama, embarking on a 60-day survey of cetaceans in an area of the North Pacific which has not been studied for decades. This year’s cruise will focus primarily on the abundance and stock structure of Bryde’s whales. The latest IWC entanglement response training has concluded successfully in the port of Shiogama, Japan. This was a specially prepared training for the ship and scientific crew of the 2015 IWC-POWER cruise, which will be surveying for two months in the North Pacific Ocean. A female humpback whale has been successfully freed from a third serious entanglement. The rescue was performed by an expert team from the Centre for Coastal Studies (CCS), Provincetown, who partner the IWC in a programme to build entanglement response capability around the world. Approximately 200 of the world’s leading cetacean scientists are gathering in San Diego for the annual meeting of the IWC Scientific Committee. Around one hundred separate sessions will take place over the next two weeks, as scientists scrutinise the latest research on a wide range of subjects, from ecosystem modelling and population estimates, to climate change and the impact of underwater noise. A collaborative satellite tagging programme under the auspices of the IWC has shed light on the migration patterns of Mediterranean fin whales. This latest research develops understanding of the routes travelled by the whales, and therefore the threats they face. The diverse work of the IWC Small Cetacean Voluntary Fund is the focus of a new area of the IWC website. Research funds are allocated to high priority projects that improve conservation outcomes for populations of small cetaceans, particularly those that are threatened or especially vulnerable to human activities. Click here to read more about the Small Cetacean Voluntary Fund. IWC’s Global Whale Entanglement Response Network is meeting officially for the first time at the Center for Coastal Studies (CCS) in Provincetown. Concern over the rising number of reported entanglements worldwide, the prolonged suffering caused, and the risk posed to humans attempting to release whales, led the IWC to develop an entanglement response capacity-building programme. The programme began in 2012 and is a partnership with CCS who provide expertise, facilities and tools. This month, a workshop will enable the experts who devised the programme to evaluate it with some of the new responders they helped to train. A research programme completed under the auspices of the IWC has enabled scientists to satellite tag and follow three gray whales on a 14,000 mile migration across the North Pacific. The research is an important step in implementing actions under the IWC/IUCN Conservation Management Plan for gray whales in the western North Pacific which aims to understand and mitigate the threats facing the small feeding group found off Sakhalin Island, Russia. Stage two of the Gray Whale Rangewide Review. Prompted by surprising new information, the IWC held its first rangewide review workshop on North Pacific gray whales in April 2014. A year later, significant progress has been made and was reviewed at a workshop held in La Jolla, California from 1-3 April. The IWC brings ship strikes to the agenda of Whalefest, Brighton. This month, the International Whaling Commission will be attending the fourth annual Whalefest event to call attention to the increasing number of collisions between whales and vessels. As ocean-going traffic increases, so does the risk of collision between ships and whales, and the IWC is raising awareness and support for a long term research and mitigation programme. Regular 'Implementation Reviews' are required under the rules of the Revised Management Procedure (RMP), the mechanism devised by the Scientific Committee to provide advice on safe catch limits for baleen whales, should the Commission ever decide to reinstate commercial whaling. Where there is no new information to suggest the original trials procedure requires modification, the Implementation Review might be classified as 'light.' A 'light' Review primarily involves incorporation of updated catch data and abundance estimates. The process is different and more in-depth if new information is available that indicates additional 'trials' (see above) are required. Later in February, Tokyo will host an expert panel tasked with reviewing Japan's special permit proposal NEWREP-A (New Scientific Whale Research Programme in the Antarctic Ocean) which was circulated in November 2014. Panel members are selected according the Scientific Committee Guidelines for Review of Scientific Permits (known as 'Annex P') in order to ensure balance and expertise relevant to the specific proposal. The report of this panel will be released to Scientific Committee members, and available on the IWC website at least forty days before this year's Scientific Committee meeting. The report will be discussed at the meeting and final Scientific Committee advice on the proposal will be developed. This advice will be put to the Commission at it's next meeting in 2016. The Scientific Committee's Aboriginal Whaling Management Procedure group (AWMP) will meet in February to progress SLAs for West Greenland's bowhead, common minke and fin whale hunts. SLAs are used to calculate safe limits for subsistence hunts. Developing acceptable SLAs is an iterative process and can take several years. The aim is to complete all West Greenland SLAs before the next Commission review of aboriginal whale catch quotas in 2018. Reviews of existing SLAs occur every five years. It’s three years since the IWC held its first entanglement response training workshop. More than 250 individuals from over 20 countries have been trained by the programme, which aims to share the capabilities already built by countries like Australia, the US and Canada, with other regions facing entanglement threats. The most recent training, the fourth in Mexico, shows the extent to which capacity now exists in some countries, where the emphasis is moving from safe and professional response, to advanced techniques and longer term considerations of data analysis and prevention. As the 2014/15 Volvo Ocean Yacht Race gets underway, the IWC is highlighting the measures that can be taken to avoid dangerous collisions between racing vessels and whales. Known as ship strikes, these collisions can be fatal for both crew members and whales. The scale of the problem is hard to assess because it’s often impossible to gather accurate information at the time of the strike, but experts believe the numbers are rising. This year, the Volvo Race has seen collaboration between the IWC, WWF and VOR in an awareness-raising exercise. Information about whales will be provided to competitors, organisers and spectators, spanning the 11 worldwide port stops of the 38,730Nm race. IWC POWER Research Programme prepares for next phase. Preparations are underway for the next phase of the IWC-POWER (North Pacific Whale and Ecosystem Research) programme. An international team of scientists have met in Tokyo to review the first five years of work, agree the work programme for the sixth research cruise, and begin planning for the next stage of the project. The latest IWC entanglement response network training concluded successfully on October 10th 2014. The two-day event was the most recent of several for Mexico, whose waters are the primary breeding ground for N. Pacific humpback and gray whales, as well as permanent home for other species. The training was sponsored by CONANP (Comisión Nacional de Areas Naturales Protegidas) and coordinated by ECOBAC (Ecología y Conservación de Ballenas, AC) with additional support from the Center for Coastal Studies (USA). Attendees included representatives of local Fisheries and Environmental Agencies, Navy, Harbour Master along with local NGOs and boat operators nominated by CONANP. The benefits of collaboration were reinforced recently when IWC attended the 25th Annual Meeting of SPREP (Secretariat of the Pacific Region Environment Programme) in Marjuro, Marshall Islands. A number of organisations share IWC conservation and management objectives. Sharing research and expertise, partnering and pooling can increase the impact of work, particularly when operating at a regional, or international level. The latest IWC entanglement response network training concluded successfully on September 24th. The two-day event was the most recent of several for Mexico, whose waters are the primary breeding ground for North Pacific humpback and gray whales, as well as permanent home for other species. The training was sponsored by CONANP (Comisión Nacional de Areas Naturales Protegidas) and coordinated by ECOBAC (Ecología y Conservación de Ballenas, AC) with additional support from the Center for Coastal Studies (CCS, USA). The four day meeting of the IWC ended today with a broad and busy programme of work agreed for the two year inter-sessional period. The constructive dialogue, and commitment of member governments to reaching consensus wherever possible, was acknowledged by the Chair, Jeannine Compton-Antoine, Commissioner for St Lucia. Conservation measures for small cetaceans were discussed today at the IWC meeting in Slovenia, with particular attention focused on the critically endangered vaquita. Environmental concerns, safety at sea and infractions were also on the agenda, and a Memorandum of Understanding was signed by Russia, USA and Japan. These are some of the range states for the western North Pacific gray whale. Collaboration between range states is crucial if this critically endangered population is to stand a chance of recovery. A welfare work plan was also endorsed by consensus, and will pave the way for a new, intersessional welfare programme. Day Two of the 65th IWC meeting in Slovenia saw discussions ongoing on a wide range of issues. The conservation committee reported increasing concern regarding collisions between ships and whales, and updated the Commission on a Conservation Management Plan in place for Southern Right Whales off the western coast of South America. The Scientific Committee report on whale stocks was endorsed, and a Resolution seeking increased international collaboration on highly migratory species, including both baleen and toothed whales, was also adopted by vote (37 for, 15 against, 7 abstentions). Aboriginal whaling and sanctuaries on the first day's agenda at the IWC meeting in Slovenia. The IWC's 65th meeting began in Portoroz, Slovenia, with welcoming addresses by the Slovenian Minister of Foreign Affairs and the State Secretary for Agriculture and the Environment. The first day saw a quota set for Greenlandic aboriginal subsistence whaling following a vote (46 for, 11 against and 3 abstentions). Whale sanctuaries were also discussed: the ten yearly review of the Southern Ocean sanctuary and a proposal for establishment of a new sanctuary in the South Atlantic. The IWC and its Scientific Committee have expressed concern over the conservation status of one of the world’s most endangered cetacean species, the vaquita, for many years. The most recent report of the Comité Internacional para la Recuperación de la Vaquita (CIRVA) is now available. This international vaquita recovery team includes some members of the IWC Scientific Committee. Click here for the report which is available in English and Spanish. Extending the whale entanglement response network – Tonga and Vanuatu. The latest IWC entanglement response network training concluded successfully on 30 July, 2014. The two-day event was the first in the South Pacific Island Countries, whose waters are the primary breeding ground for many of Oceania humpbacks. Attendees included representatives of local Fisheries and Environmental Agencies, along with local NGOs and boat operators nominated by SPREP. The fifth IWC-POWER research cruise sets sail. At the beginning of July, the IWC-POWER research cruise set sail to survey cetaceans in an area of the North Pacific which has not been researched for decades. Now in its fifth year, the IWC-POWER programme is an international collaboration which aims to build understanding of the abundance and stock structure of a number of key species. This year’s cruise will focus primarily on Bryde’s, fin and sei whales, and involves scientists from the US and Britain, as well as Japan which also generously provides the vessel and crew. In Argentina next month, an IWC workshop will bring together marine biologists, veterinarians and specialists in stress, disease, krill depletion and gull management. The aim of the event is to understand the cause or causes of the large number of Southern Right whale deaths at Peninsula Valdes, Chubut, each year. This summer, Hawaii will host the second stage of an international and multi-disciplinary work programme that aims to understand and address the threat to cetaceans from marine debris. The Hawaii event will focus on policy and management, assessing existing laws, initiatives and strategies. Potential collaborations will then be identified which can use the IWC’s scientific expertise and international reach to best effect, to improve the conservation outcomes for cetaceans and for marine life generally. A complex and multi-faceted acoustics research programme has been endorsed by the IWC Scientific Committee. Whales are generally easier to hear than to see, and underwater acoustic monitoring has been used for many years by scientists trying to learn more about these inaccessible animals. The latest research has pioneered and validated new methodology, using sono (acoustic) buoys to locate and track whales in real time, and over distances of hundreds of kilometres. This increases the efficiency of attempts to encounter and study cetaceans. 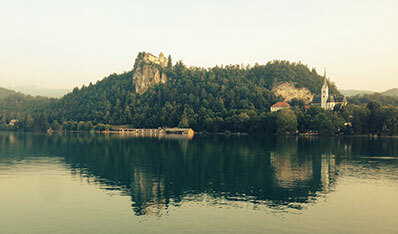 The results of the most recent IWC-POWER Research Cruise have been reported and endorsed at the IWC Scientific Committee Meeting in Bled, Slovenia. This month, Panama will host the last in a series of three workshops addressing human impacts on marine mammals in the wider Caribbean region. This workshop addresses collisions, known as ‘ship strikes,’ a problem for vessels and shipping as well as marine life. Representatives from government, science and academia, the shipping and boating industries and environmental organisations will meet to review existing information and knowledge gaps, and assess mitigation measures. A recent training in the San Ignacio Lagoon, Mexico, has resulted in the professional and successful release of an entangled gray whale calf by a newly trained team at the San Ignacio Lagoon. The Government of Mexico and the IWC have worked closely together for the past two years, building entanglement response capacity along the extensive coastline. The latest IWC entanglement response network training concluded successfully on 4 April, 2014. The two-day event was the first in the Dominican Republic, whose waters are the primary breeding ground for the majority of North Atlantic humpback whales during the winter. Experts from eleven countries have collaborated to assess and inform guidelines on stranded cetacean euthanasia. Live stranding of large cetaceans is an increasing problem for coastal states. Rescue is of course the ideal outcome but in reality, the prognosis is bleak when a large whale strands. In most cases, successful re-floatation is impossible and euthanasia is the best outcome for the welfare of a suffering animal. To read the report click here. Oceans are getting noisier which can cause problems for the marine animals that rely on sound. Marine noise management has traditionally focused on high intensity, short duration noise sources, but this two-day expert workshop will look at sound field mapping of chronic and lower intensity sources. On 8 April, international experts will come together to begin a range-wide review of the population structure and status of North Pacific gray whales. The review is prompted by surprising new information obtained from satellite tagging undertaken under the auspices of the IWC, and from genetic ‘fingerprinting’ and photo-identification studies. This new information has revealed movements of animals across the North Pacific, between populations previously thought to be separate. The IWC Pollution project is moving to a new phase and will begin to assess the potential impact and toxicity of microplastics and polycyclic aromatic hydrocarbons (PAHs) and their dispersants in cetaceans. This phase will start with a meeting of the new Steering Group in St Andrews, Scotland, in March. The impact on cetaceans of increased marine activity in the Arctic is the subject of a workshop to be held in Anchorage, Alaska in March. It will bring together national, local and native authorities, scientists, industry, intergovernmental and environmental organisations. The aim is to hear views from all stakeholders, prioritise IWC work and coordinate efforts - before problems emerge. For more information click here. The latest IWC entanglement response training has concluded successfully in the San Ignacio Lagoon, Mexico. The two day event was an addition to two previous workshops in Mexico, and the twenty trainees included representatives of the regional marine parks and nominated local fishermen and boat operators. A new, collaborative study published in Aquatic Mammals sets out international best practice approach for minimising seismic survey impact on cetaceans. Earlier this year, the IWC brought together whale watch operators, scientists and government officials from over 20 countries. The aim was to take forward work on a 5 year Strategic Plan and a web-based 'living handbook' for whale watching. The workshop sought input from all stakeholders. A number of key recommendations were made and their report is now published. For more information click here. The IWC Standing Working Group on Conservation Management Plans (CMPs) has reported on its meeting, held earlier this year in Brisbane, Australia. CMPs were introduced by the IWC to improve conservation outcomes for the world's most at risk cetacean populations. They are tailored, flexible tools which enable targeted management of human acitivities. For more information click here. The IWC has always placed great importance on science. Its peer-reviewed Journal of Cetacean Research and Management (JCRM) has published scientific papers since 1999. As part of the IWC's philosophy of making the best scientific information available to all, JCRM has now become an open access online journal and all past issues will be available online fron 25 November 2013. The entanglement response programme is moving on from Panama to St Martin in the Caribbean. Entanglement in fishing gear and marine debris is a serious animal welfare issue and the risk involved in attempting disentanglement is often under-estimated. This global programme shares best practice and experience, combining classroom and hand-on teaching to build a network of trained entanglement response teams around the world. The research vessel, Yushin-Maru No.3arrived in Shiogama Harbour on 9 September 2013 after completing the fourth annual IWC-POWER (International Whaling Commission - Pacific Ocean Whale and Ecosystem Research) survey. This year’s survey began on 12 July 2013 when the ship departed Shiogama to survey the whales of the Eastern North Pacific. The first meeting of the new IWC Bureau will take place at the beginning of September. The Bureau reflects the move from annual to biennial Commission meetings, and the increase and diversification of IWC work. The new forum is using a combination of meetings and teleconferences to strengthen the co-ordination, delivery and communication of the Commission’s intersessional work programme. From 3-15 June, almost 200 cetacean scientists from around the world met at the annual IWC Scientific Committee meeting in Jeju, Republic of Korea. Over 100 sessions were held and more than 200 scientific papers were discussed. The findings and recommendations of the Scientific Committee are incorporated into a single extensive report with a number of technical annexes. The reports of the Scientific Committee provide the scientific basis for IWC policymaking. All are published and publicly available and since 1998 have been included as a supplement to the Journal of Cetacean Research and Management. To read the 2013 report, click here. Extending the global whale entanglement response network – IWC training in Salinas, Ecuador. The IWC is working with the Permanent Commission for the South Pacific (CPPS) to offer training in whale disentanglement in South America. Entanglement in fishing gear and marine debris is a serious animal welfare issue. The risk involved in disentangling a whale is often underestimated and this global programme aims to create a network of trained entanglement responders. Click here for more information. In June, more than 200 cetacean scientists from all over the world will collaborate at the annual IWC Scientific Committee meeting. Science underpins every aspect of the IWC’s work on conservation and management. Since 1950, its Scientific Committee has met annually to bring together information and expertise from every continent. For about two weeks, the Committee and its working groups will hold over 100 sessions, covering all aspects of conservation and management including: the status of individual whale populations; ecosystem modelling; impacts of hunting, entanglement and ship strikes; health and disease; effects of noise; implications of climate change; and oil spill response capacity. The draft agenda and submitted papers can be found here. The Committee’s reports provide the scientific basis for IWC policymaking, and final reports are publicly available via this website http://iwc.int/reports. The Southern Ocean Research Partnership is an international consortium of scientists leading the development and application of non-lethal whale science. The SORP project leaders and interested parties will be meeting prior to the IWC Scientific Committee in the Republic of Korea. The discussions and presentations will showcase the progress and discoveries made by the five SORP projects to date and coordinate future research activities that support cetacean conservation and management in the Southern Ocean. View the agenda at the SORP website. Conservation Management Plans were introduced to the IWC in 2008. Their purpose is to improve conservation outcomes for the world’s most endangered cetacean populations. CMPs are tailored, flexible tools which enable targeted management of human activities. Importantly, they are designed to complement existing international conventions and agreements, national legislation and management regimes in participating states. An essential component is the involvement of stakeholders, including those whose actions contribute to the threats. Three CMPs are already underway. More are planned, and the IWC expert group meeting in Brisbane this month will be looking at cetacean populations all over the world. Whale watch operators, scientists, and government officials from over 20 countries will be gathering in Brisbane in May. On the agenda is a 5 year Strategic Plan for Whale Watching and the development of a web-based ‘Living’ Handbook. Whale watching is a fast-growing sector with economic benefits for a diverse range of coastal communities. However, unless well-managed it has the potential to have a negative impact on whales and their habitat. The IWC 5 year plan aims to develop and convey best practice, and the Living Handbook will become an evolving repository for all aspects of advice including training, governance, capacity building and compliance. The aim of the Brisbane meeting is get valuable input directly from the industry on implementation of the 5 year Strategic Plan to help ensure that whales can be watched responsibly now and by future generations. Marine debris workshop, Woods Hole Oceanographic Institution. The challenges for our oceans and the life they sustain have never been more significant. In May, the IWC is bringing together experts from around the world to better understand marine debris and its effect on cetaceans. Man-made ocean debris includes plastics, abandoned and lost fishing gear, glass, metal and wood. Ingestion and entanglement can cause horrific suffering to marine mammals. The IWC is co-ordinating efforts to understand the nature and impact of marine debris on whales and small cetaceans with the first of two workshops. This workshop will begin with a one day public seminar which is open to anyone with an interest in the issue. Click here for more information.